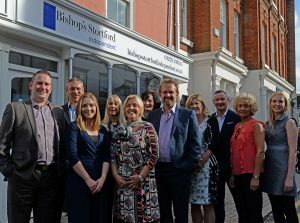 Following the successful launch of the Cambridge Independent in September 2016, family-owned publisher Iliffe Media is preparing the launch of a second Independent title, in Bishop’s Stortford, on 4th October 2017. The Bishop’s Stortford Independent, a paid-for weekly, will be edited by Paul Winspear, who was editor of the Herts & Essex Observer for almost 10 years. Paul will be supported by two former colleagues of the H&E Observer – news editor Sinead Corr and photographer Vikki Lince – as well as reporter Cat Barkley and two former commercial colleagues. The launch of the Independent is supported by businessman Peter Fowler, who owns the North Street premises situated in the heart of the town from which the Independent team will operate. The Bishop’s Stortford Independent will be printed at the Iliffe Print centre in Cambridge. Bishop’s Stortford Independent editor Paul Winspear said: “The community’s response, in terms of messages and gestures of support and goodwill, to our announcement on social media about our launch has been phenomenal. The Bishop’s Stortford Independent will be available in retailers from 4th October 2017, priced 80p. In its first year, the Cambridge Independent has achieved the recognition of the industry, having been voted UK Weekly Newspaper of the year at both the Regional Press Awards and the Production Journal News Awards.